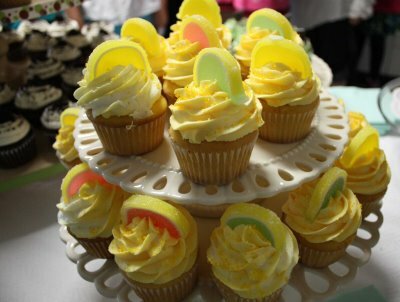 I've been daydreaming of a citrus themed birthday party lately. All of my kids have their themes picked for this years birthdays, but I just may try to sway one of them. 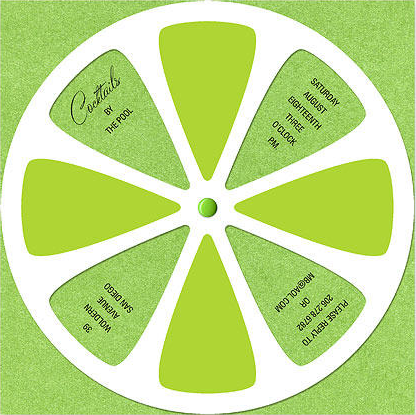 Here are some citrus party inspirations that have gotten the juices flowing, hopefully they will for you too. I think it would be pretty easy to make something similar to this on your own to save on the cost of the birthday party. 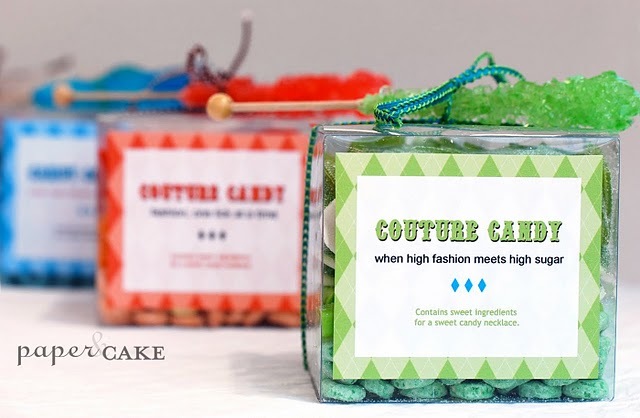 Lemon spice cupcakes with gummy citrus candy as a topper. seen on black*eiffel and the starting point of the citrus inspiration. 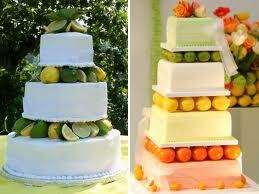 Fun cake ideas, while these are definitely wedding cakes, they are a good jumping off point for a fun cake. 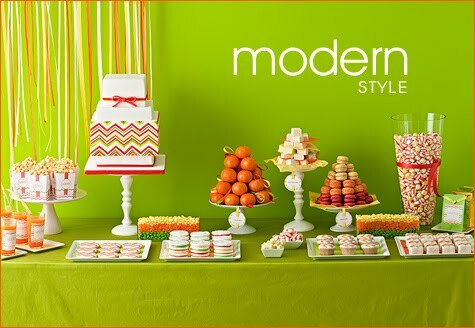 love this dessert table from none other than amy atlas, seen on hostess, perfectly implementing all the citrus colors. 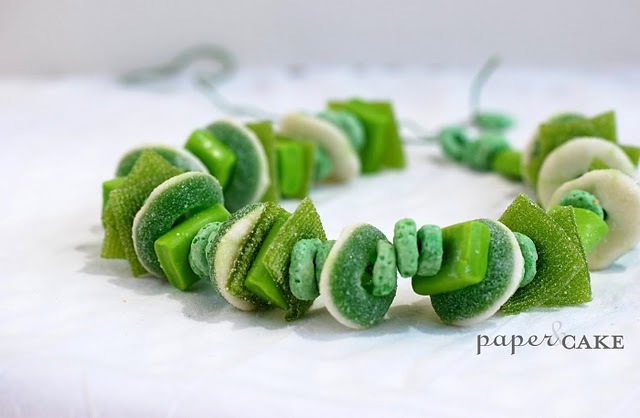 I recently found these amazing DIY candy necklaces on paper and cake, and think it would be the perfect party favor in pink, orange, yellow and green. I hope you are dreaming up some themes for my kids' birthday, because I LOVE this! 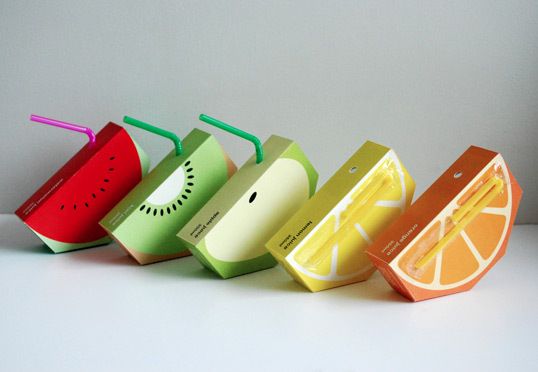 i must tell you i have been all about the citrus lately. i cannot wait to have a girl party at my house just to use the theme "pink lemonade"! So glad to have happened upon your blog to see i am not the only one..